How much is Wesley Person Worth? Wesley Person Net Worth: Wesley Person is a retired American professional basketball player who has a net worth of $18 million. Born in Brantley, Alabama, in 1971, Wesley Person played high school basketball in his hometown before transitioning to college ball with the Auburn University Tigers from 1990 until 1994. The Phoenix Suns drafted Person with the 23rd overall pick during the first round of the 1994 NBA Draft. 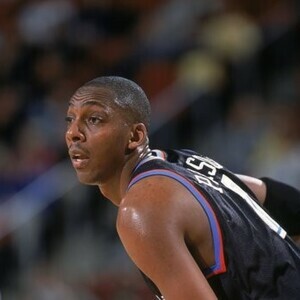 The six-foot-six, 195-pound shooting guard played with the Suns until 1997 before joining the Cleveland Cavaliers for the next five years until 2002. Person later played with the Memphis Grizzlies from 2002 until 2003, the Portland Trail Blazers from 2003 until 2004, the Atlanta Hawks in 2004, the Miami Heat from 2004 until 2005, and, lastly, the Denver Nuggets in 2005. Person, who played in the league for more than a decade before his retirement, finished his pro playing career with 8,192 points to go along with 1,150 three point field goals made, and a three-point shooting percentage of .418. Person also competed internationally for the United States' men's basketball team. He won a gold medal at the FIBA U19 World Championship in 1991 in Edmonton and again at the FIBA U21 World Championship in 1993 in Valladolid.